July 29th in Wordpress Plugins by Wordpress Jedi . 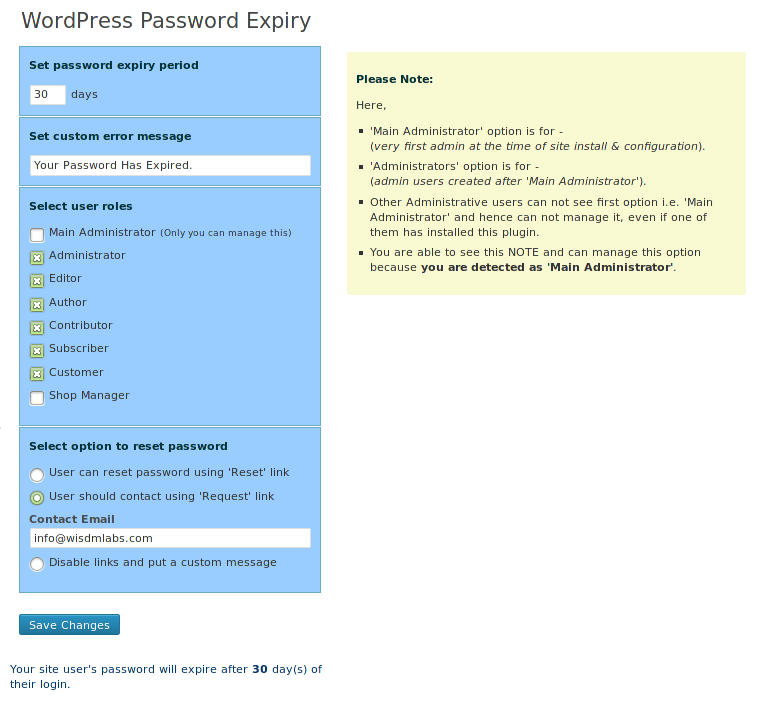 WordPress Password Expiry: expires password for the selected type of users after the specified number of days. This plugin might be helpful if you are too worried about your member accounts getting hacked. Rotating Universal Passwords: lets you set a universal password for your content based on day of the week. So you can have 7 passwords for each week. 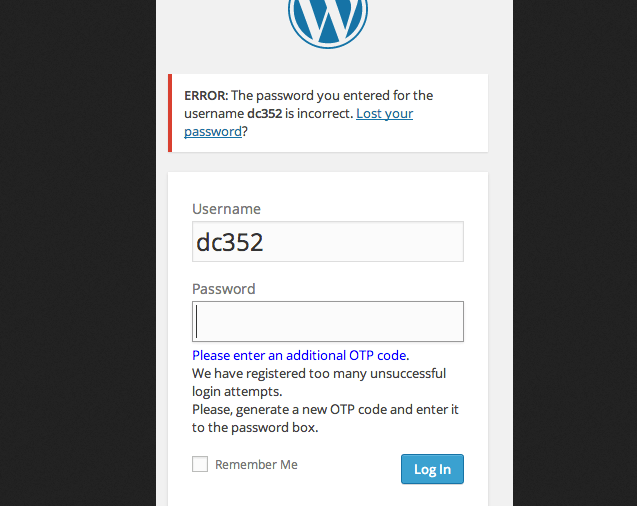 OTP and Passwords: makes your login page secure and allows you to use OTP. It can enforce a password policy for short or weak passwords. It supports S-CRIB, Yubikey, Google Authenticator, McAfee Pledge, and many other services. We tested a few other one-time-password plugins, but they have since been removed. The above plugins may not be for everyone, but they do allow you to implement temporary password policy for your site.